End of year- 1/2 off sale on ALL MY PRINTS! 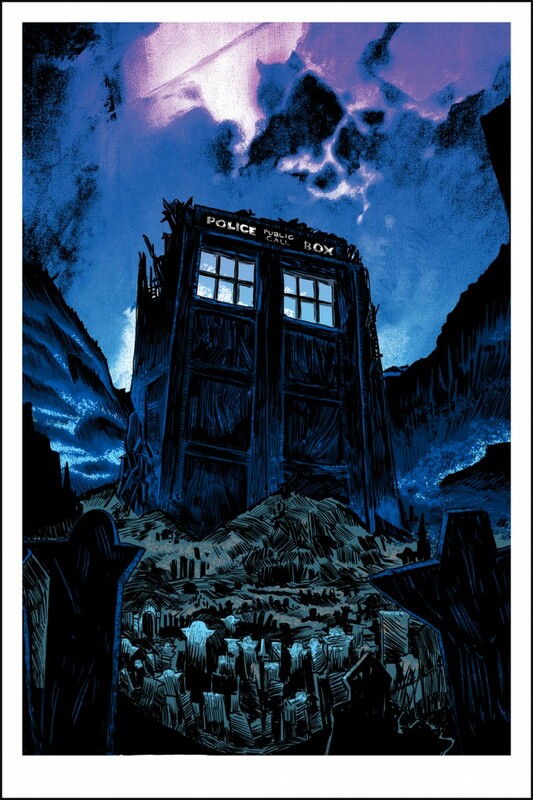 For the next 24 hours, all TIM DOYLE prints, T-shirts, comics, and Postcards are available for 1/2 off of retail! 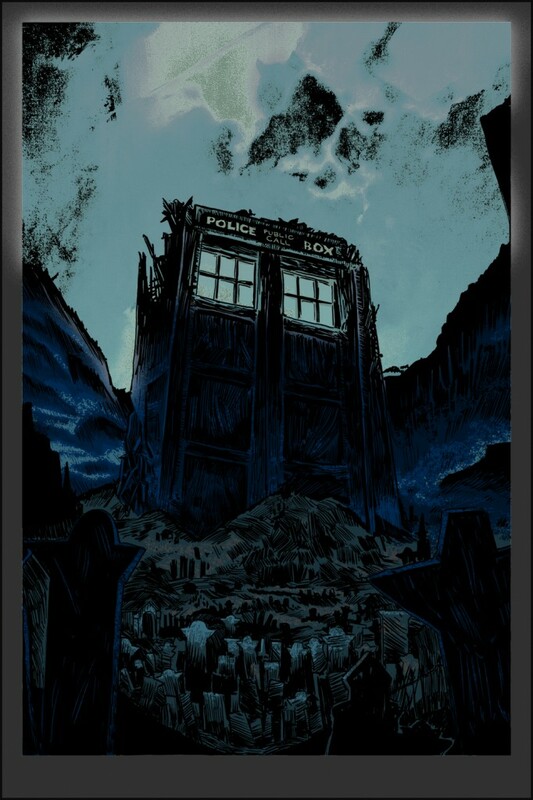 And we have dug DEEP into the archives- a lot of prints that we normally hold back for consignment shops and in-person events are now listed in the TIM DOYLE section of the Nakatomi store for a limited time only! There’s some crazy stuff in there, so SCROLL DOWN FOR AWESOME, and see what rarities we have for you! Didn’t get what you wanted for X-mas? GET IT NOW. Forget someone on your X-mas list? FIX YOUR BLUNDER. Want to get say- Every single Sea Also Rises print, and deck your house out in underwater chaos? NOW IS THE TIME! PICK THEM UP HERE! NOW! Thank you everyone, and see you in 2015! Comments Off on End of year- 1/2 off sale on ALL MY PRINTS! BAD DADS- Grand Budapest Hotel print- This weekened at SpokeArt! SpokeArt’s BAD DADS show returns! 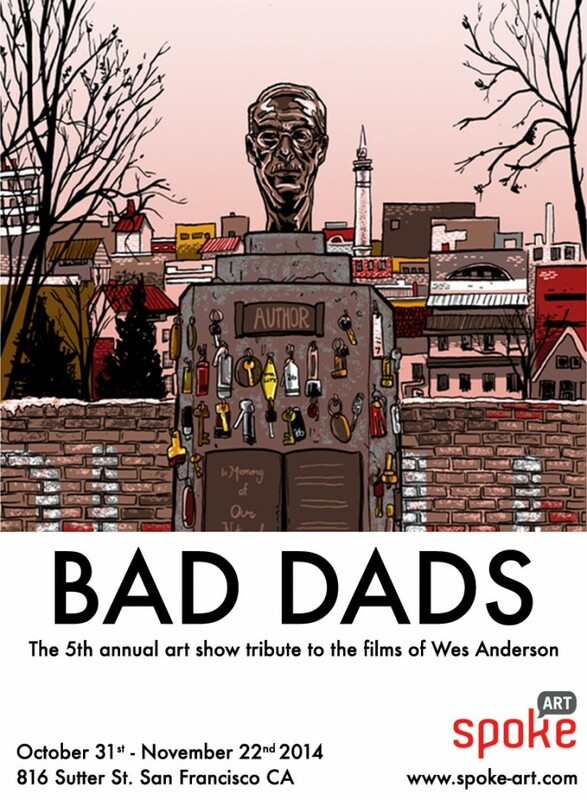 For the fifth row in a year, SpokeArt will be hosting the Wes Anderson tribute show- Bad Dads- and for the fifth year in a row, Nakatomi will be there, representing! 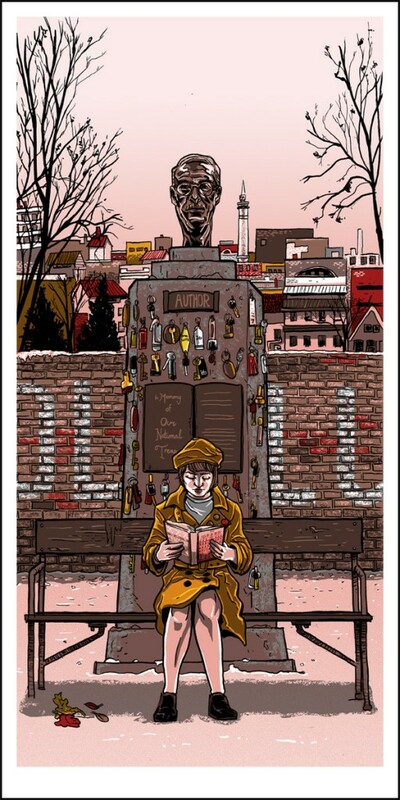 Continuing Tim Doyle’s series of 12×24 sold-out prints, this year he’s tackled ‘The Grand Budapest Hotel” with his print– “The Author”. “The Author” measures 12×24 and is signed and numbered by the artist in an edition of 150 world wide. The show opens this weekend at SpokeArt, and the prints will be on sale shortly afterwards on their website HERE. Comments Off on BAD DADS- Grand Budapest Hotel print- This weekened at SpokeArt! “Springfield” print- still available at SpokeArt! Hello everyone! Seems like the AV Club covered some of my Simpsons inspired art today- which is GREAT. You can see that article HERE. I’ve been getting a lot of traffic today about these prints, SO- Just to let everyone know- the SPRINGFIELD print (pictured above) is an open-edition silk-screen print, and is STILL AVAILABLE at the SpokeArt site HERE. In daytime and nighttime versions- the nighttime one glows in the dark! Each print is hand-printed in my shop, and then signed and dated by me! Everything else is sold out and out of print! I’m super-happy a lot of new people have been discovering this work, and that we still have (in what is my opinion) the best one of the series still available! 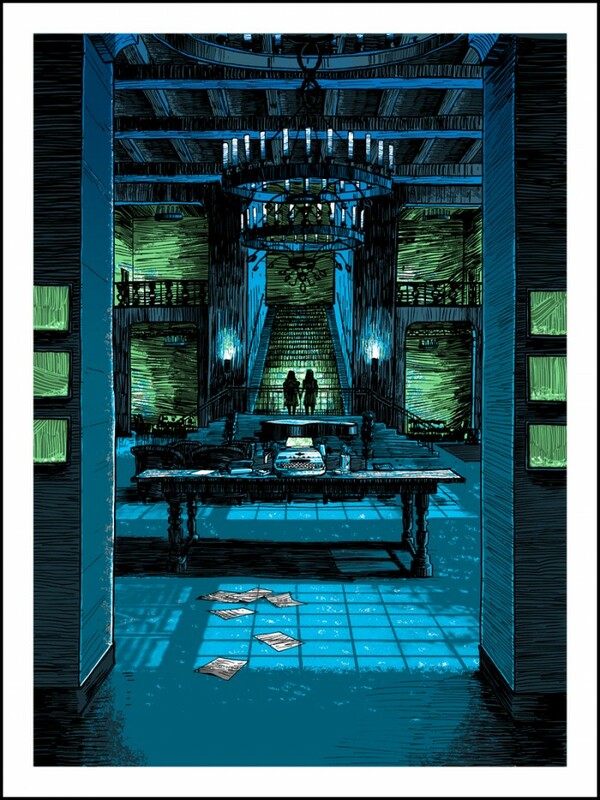 Shining print for SpokeArt’s Kubrick show! KUBRICK- art show at SpokeArt! This SATURDAY SpokeArt will be hosting the next in their series of DIRECTOR gallery shows, this time celebrating the work of Stanley Kubrick! Comments Off on Shining print for SpokeArt’s Kubrick show!